Qualifying orders must be made between February 5 – February 20 2019 (inclusive). The total order amount includes purchases of items from the www.emotiv.com store, including hardware, accessories and software purchases, as well as shipping fees paid. For orders including subscriptions, only the first subscription payment will count towards the total order calculated for the purposes of this promotion. Orders above $500 will be eligible for additional $100 coupons at $500 increments, e.g. 2 x $100 coupons at $1000 total order, and 3 x $100 coupons at $1500 total order etc. The coupons from this promotion will be distributed to your EmotivID email within 30 days of your order. Your coupon(s) cannot be redeemed on your current order. 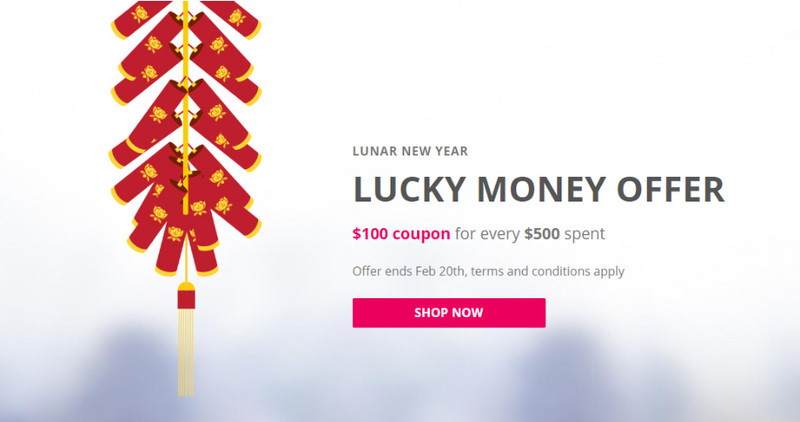 The $100 coupon(s) received are a one time use coupon, and do not count as store credit. The coupons reduce your order total by $100 per coupon applied. If the coupon amount applied exceeds the order, no credit or refunds will be made available; the excess funds are deemed as forfeited. The coupon is registered to your EmotivID and cannot be distributed or assigned to another email or user. The coupon shall expire in 2 years of receipt or upon redemption, whichever date is earlier. This offer may not be combined with other available offers, except for the Free Shipping Feb promotion. For any further questions, please contact our support team. Happy Lunar New Year!